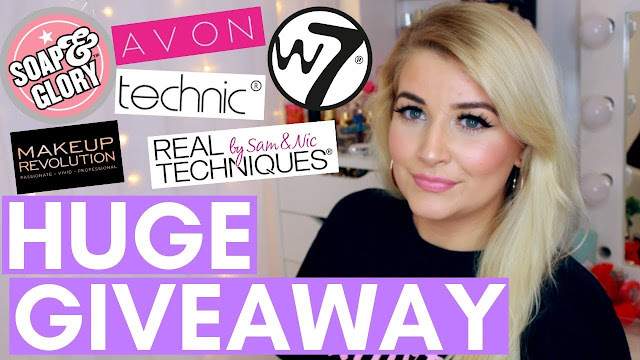 RULES (UK ONLY GIVEAWAY): 1) Follow me on Instagram @lucestephenson - www.instagram.com/lucestephenson 2) Subscribe to my YouTube channel - www.youtube.com/lucestephenson 3) Turn on notifications for my channel 4) Like this video! 5) Leave a comment on the video telling me something about yourself, or ask me a question, or leave an assumption, or leave a video idea, the possibilities are endless!! You can comment AS MANY TIMES AS YOU LIKE, and EACH VALID COMMENT = 1 ENTRY If you don't complete all five, your entry won't be valid. If you are under the age of 16, please get parental permission as I will need your address to send your prize to you. WINNER will be chosen at random and contacted in the comments below, please respond within 7 days of me replying to your comment otherwise I will re-pick! Giveaway ends in 2 weeks time on Wednesday 27th March 2019.